On the Trail: Frankston-based artist Lisa O’Keefe studied at the Ecole Nationale Superieure des Beaux-Arts, Paris, where she lived and worked for many years. Since returning to Australia O’Keefe has taught at the Victorian Artist Society, Mentone Art Society and Ashburton. FOR the 10th year in a row artists from Frankston and the Mornington Peninsula are opening their studios to the public … and, to get there, all you have to do is follow the Peninsula Studio Trail. For two weekends the artists will be happy to talk with visitors about their creative techniques and show off their work places. 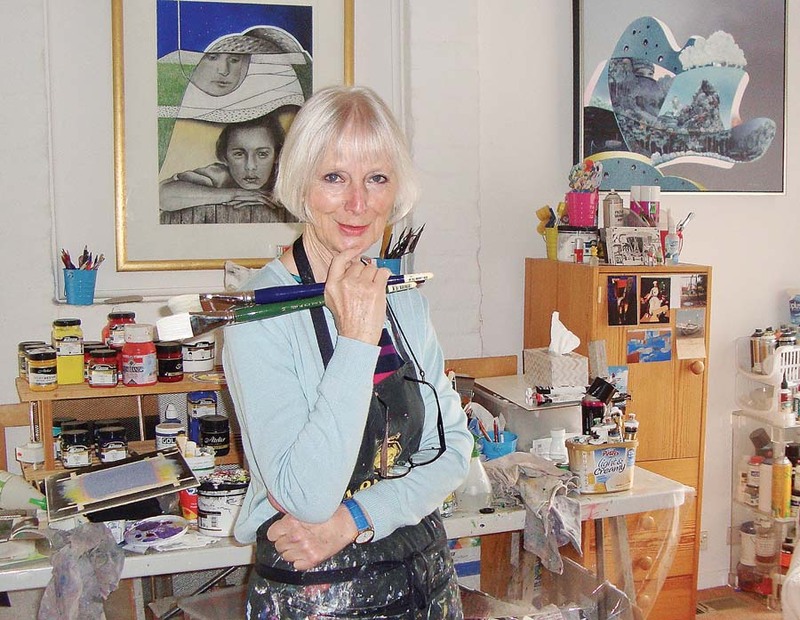 The annual trail event held over two weekends (17-18 and 24-25 November) allows visitors a glimpse behind the gallery facade of a working art studio. Many of the 20 artists involved in the “trail” have won awards and are known on the peninsula, interstate and overseas. They recently held a 10-year anniversary exhibition at Southern Buoy Studios, Mornington, opened by Sue Baillieu, producer and presenter of “Arts About” on FM radio 98.7. Visitors following the Peninsula Studio Trail can see such art forms as drawings, hand-thrown pottery, “sustainable sculpture” made from recycled materials, and printmaking styles from traditional to abstract. They will be shown art techniques through demonstrations and displays, and can speak with artists about their life and motivations. There will also be combined studio calls with visits to wineries, restaurants or cafes. Visitors will also see the many different types and locations of studios, from the dark and traditional, to within a private home, on a working farm, in the suburbs, gallery by the coast or large tin shed. To download a map of the “trail” go to peninsulastudiotrail.org or call Jennifer Fletcher 0406 733 381.